Gil Kane was only rivaled by Steve Ditko when it came to giant, floating heads. at least they didn’t do that shot a few seconds later! Alex Toth interiors? I’m going to have to track that down. Those covers are fabulous. 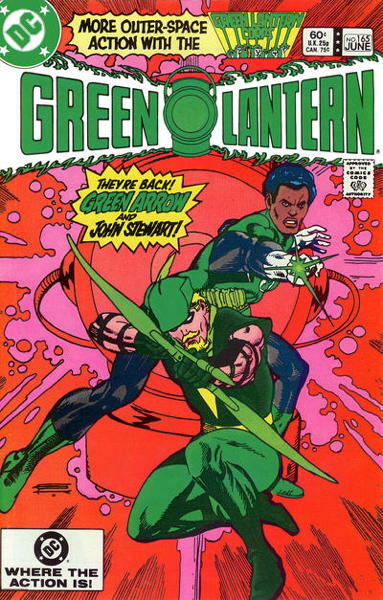 Anyone know if we ever had a Gil Kane Green Arrow story? I love how he drew him here. Odd that those stories didn’t go over well. 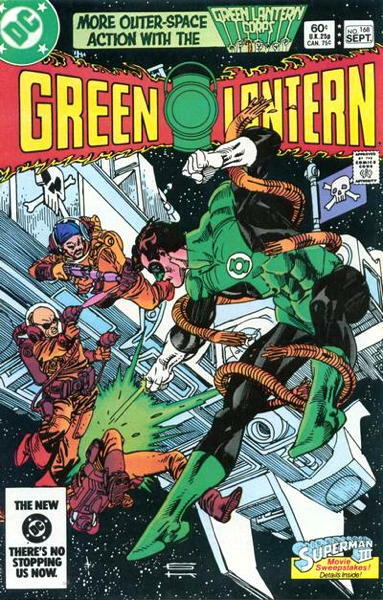 I’ve always felt like GL belonged in space. 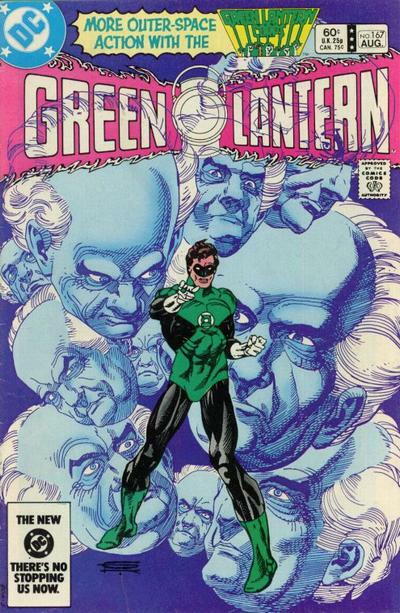 GL 167, the “floating Papa Smurf heads” cover, holds a prize space in my collection as one of the few funnybooks I still have that I bought off of a spinner rack as a young’un, back before “collecting” was a thing. Most comics I bought in them thar days were torn up, as you’d expect. 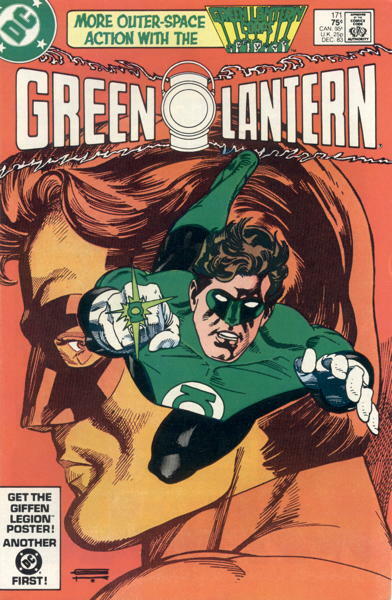 That Gil Kane cover made it a keeper. Many years later, I even bought 168 just to see what happened in the story. Back issue bins serve no finer, more noble purpose than helping Us Nerds find out what happened in multi-part comic stories that we could only read parts of as wee bairns. (“How does Captain America defeat Dr. Faustus after he falls off that biplane that Daredevil’s piloting? HOW? I’ve wondered for thirty goddamned years!”) Back issue bins do the Lord’s work. 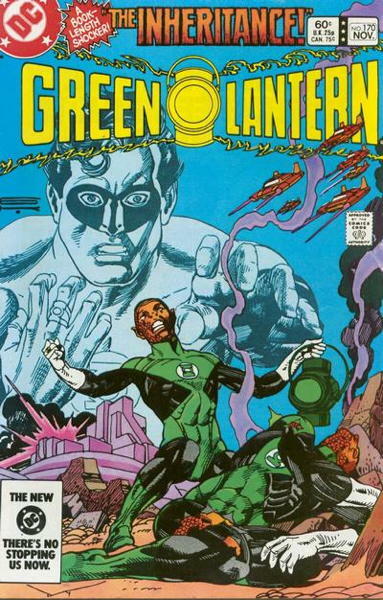 Any excuse to put up good Gil Kane covers is a good one! You can’t go wrong with Kane covers. He was a master at design and dynamic figures. A true craftsman. I remember as a young collector/comic reader in the 1970’s, ALL those covers that Kane did for Marvel. 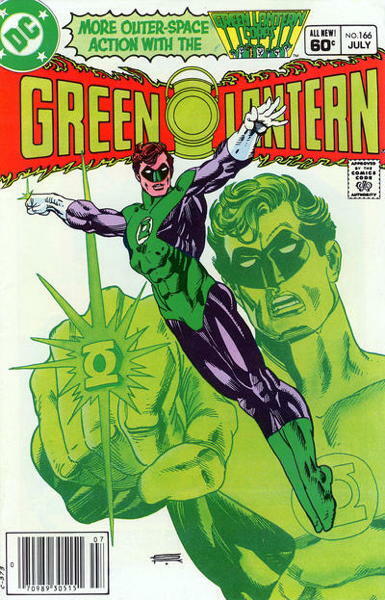 As a young artist as well I recall thinking how productive he was and thinking that he must really LOVE drawing comics. 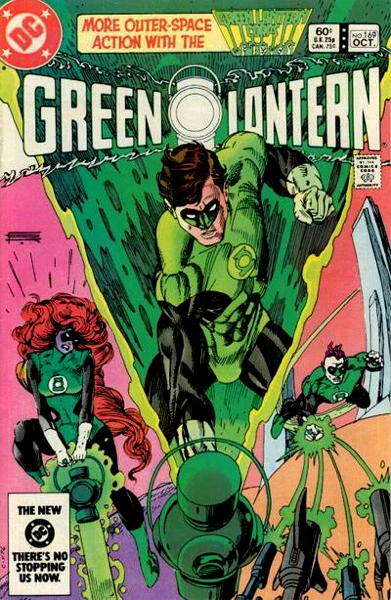 I’m sure he enjoyed drawing but when I found out years later that the reason he drew so many covers (despite his obvious talent) was to pay his alimony, well, that kind of brought me back to reality. 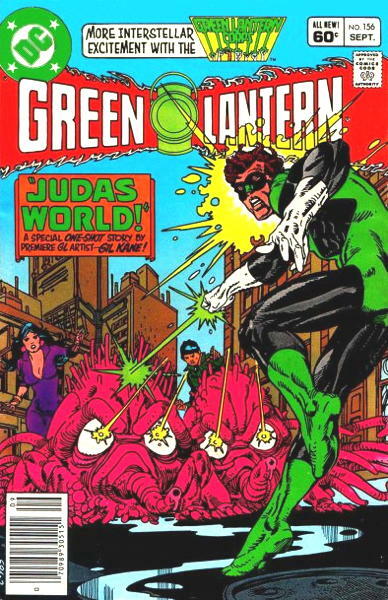 Some of the earliest GL comics were right around this time. Really enjoyed the interior art by Keith Pollard and, yes, I vividly recall the kid exploding/imploding in the vacuum of space.